[:en]With great sadness The Save the Tigris Campaign has learned of the assassination of Honduran environmental and human rights activist Berta Cáceres in her home on March 3, 2016. Berta was the founder of Council of Indigenous Peoples of Honduras (COPINH) and an anti-dam activist. Earlier she had received threats against her life. According to her family the assassination was prompted by Cáceres’s high-profile campaigns against dams, illegal loggers and plantation owners. 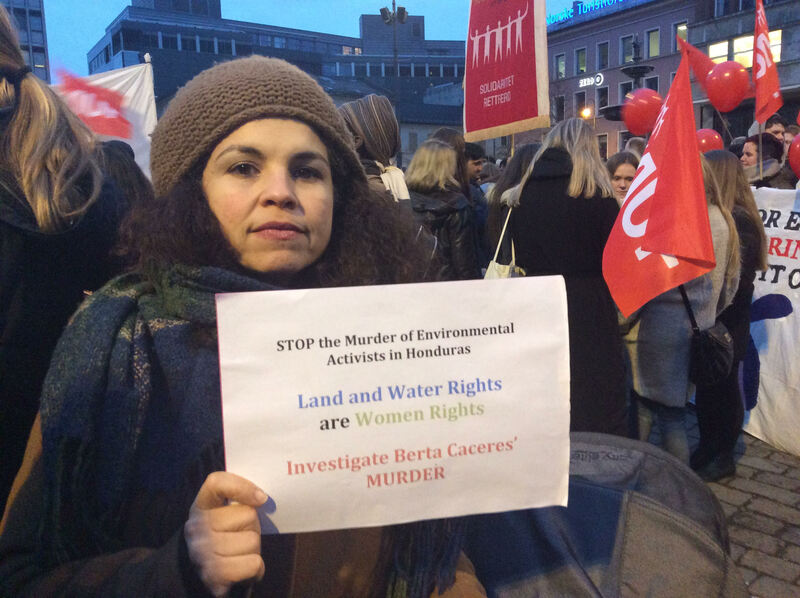 We send our condolences to Berta’s family, friends and fellow activists. Her colleague Gustavo Castro Soto, a member of Friends of the Earth-Mexico, was injured during the attack. He survived and has become key in the investigation into the murder of Berta. Friends of the Earth-Mexico has set up an urgent action to demand the Honduran government, the Mexican Consulate in Honduras and the Inter American Commission on Human Rights for protection of Gustavo. Both Berta and Gustavo are two people known for their role in international social and environmental struggles, defending the rights of indigenous peoples and their territories against appropriation by neoliberal projects such as large hydropower structures. The Save the Tigris Campaign opposes the construction of Ilisu Dam in Turkey and other large dams in the Tigris-Euphrates river basin. Our campaign is part of the global struggle against to protect water rights. We call for a thorough investigation into the murder of Berta Cáceres and call upon authorities to ensure the safety of human rights and environmental activists in Honduras. We express our solidarity with the work of COPIHN and environmental activists in Honduras. Building on Berta Cáceres’ struggle, we demand for FMO, Finnfund and Siemens-Voith to withdraw from the Agua Zarca dam project in Honduras. We call to cease the construction of the dam, and by extension all large hydropower structures that pose a threat to human rights. Sign the urgent action petition for Gustavo Castro Soto. Johanna Rivera from the Save the Tigris Campaign in Oslo.